That’s the industrialisation of food production for you. But what about research? Over lunch recently (at a mid-range restaurant, with a reasonably creative menu and customer experience), I was talking to a friend about the business of information (using the term as a catch-all for everything from data provision to information-based consulting). We were discussing a business we both know (let’s call it Acme) which provides compliance information to financial services firms. It’s complex, highly technical stuff without which these firms can’t do business. Off-the-shelf. They gather data, package it into reports and toolkits and sell these same items to multiple clients. The processes and sale are industrialised. It’s their most profitable line. Effectively, this is McDonalds selling the same hamburger to 25 different consumers. Bespoke. They gather data for individual clients using industrialised processes. Margins are reasonable because, effectively, Acme is collecting the same data, analysing it in the same way using the same tools and delivering it to customers in the same format. Consultancy. Consultants provide advice to individual businesses based on insights they gather which are relevant to that specific business, its marketplace and requirements. Consultants are industry experts with long experience in the business, are pretty well paid and this impacts on margins. Buyers of off-the-shelf like the product (they feel they have to buy it) but think it’s too expensive as they’re aware that they’re buying a package that’s sold over and over. They also want more flexibility and creativity – more advice and consultancy thrown into the deal for free. The company is reluctant to do this because that advice and consultancy is expensive to deliver. They find ways of refusing, or of delivering as little as possible, and complain that customers want their highest-cost service (the creative thinking) for free. Buyers of bespoke like the product and complain less about the price. This is the McDonalds hamburger sold once over. 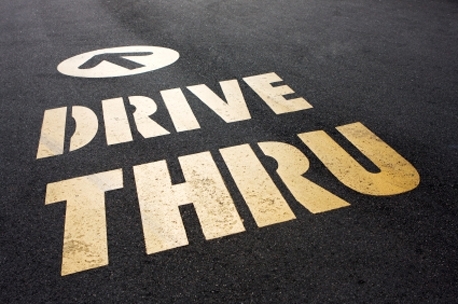 Customers are happy to eat fast food some of the time, but at other times they want more. They are looking for the ‘bespokeness’ to go deeper, to give them a level of insight that industrialised processes can’t deliver. The company wants to charge for this, but buyers want them to throw it in as part of the deal, so again the company finds ways of delivering as little as possible. Buyers of consultancy love what they get but complain that it’s very expensive. This is the equivalent of eating in a high-end restaurant. They get the creativity, personalised service and experience that they need. But they are under pressure from accounts and procurement to cut this cost and force Acme to throw this in for free as part of the off-the-shelf and/or bespoke packages. Acme is an information business. No different, except in content, from your average research agency. Across its proposition it’s industrialising in order to protect margins. The consultancy proposition is on the way out. This is where the food analogy breaks down. In the catering industry, there’s room in the marketplace for everything – from fast food to Heston Blumenthal’s Fat Duck. Creativity survives in this mix, because consumers have a range of budgets and exercise choice. The risk in the information business is that industrialisation squeezes out creativity, and the very thing that clients value the most (and which their businesses need) ends up being taken off the menu. Jeremy Rix is founder and chief listener at Oko. He’s online at www.engageoko.com. Rix is presenting a workshop to co-create the future of research at MRS Annual Conference on 19 March. More details at www.mrsannualconference.com. This resonates hugely in the market research business as well. As I've argued for a while, with the decline in CAPI and CATI surveys as a proportion of research, what research agencies can offer has become commoditised. Everyone can buy sample from a panel provider, write a questionnaire, check scripting and tables and produce a generic report - including many client-side researchers. What now differentiates vendors is the extras they can offer - techniques like MaxDiff, or particularly insightful analysis. Big agencies in particular struggle to offer this value - they're just not set up to pour love into £25k projects - and the consolidation in the market of the last few years is, to me, a sign of them chasing the high-margin business where they can.